No known provenience. No tag. 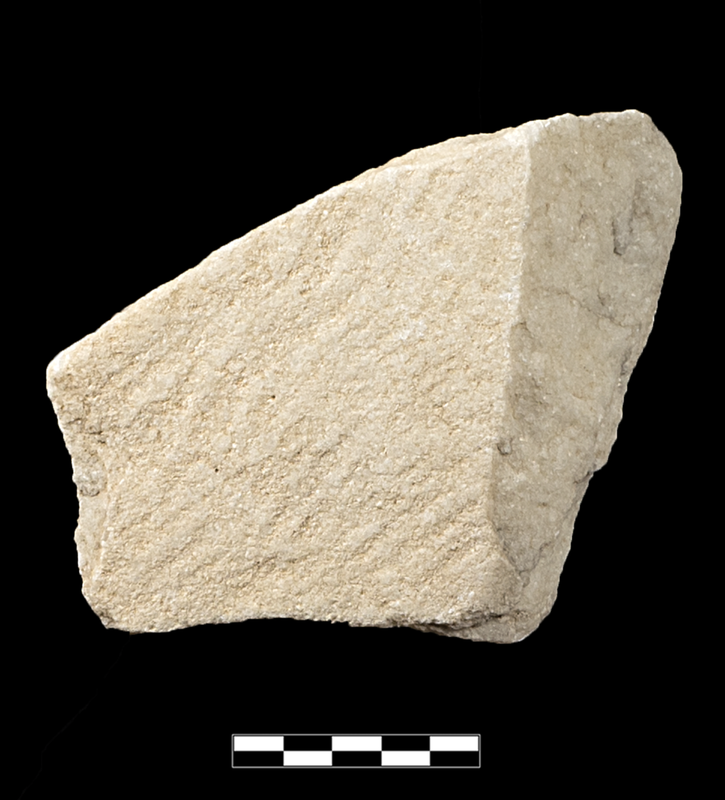 Large chip from marble block. One flat surface roughly worked with handpick. Apparently postdepositional in origin and not from working stone. Creamy white to greyish white, somewhat fine to somewhat coarse-grained, crystalline marble. Attic or island source? 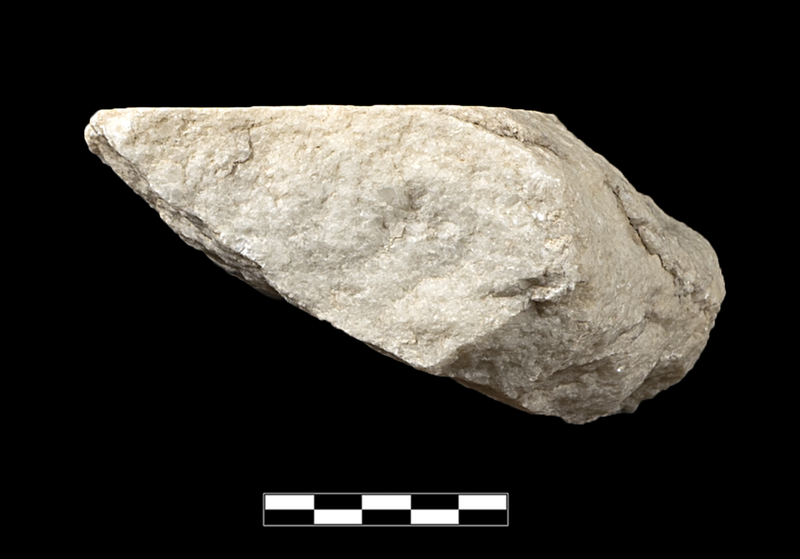 One large irregular fragment. Slight abrasion and chipping around edges; slight, extensive film of encrustation.